Aeroplane traces its lineage back to the weekly The Aeroplane launched in June 1911, and is still continuing to provide the best aviation coverage around. 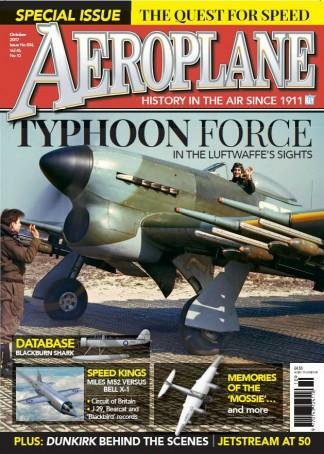 Aeroplane magazine is dedicated to offering the most in-depth and entertaining read on all historical aircraft. With a distinct emphasis on military machines from the 1930s, 1940s, 1950s and 1960s, the magazine features such icons as the Spitfire, Hurricane, Lancaster and many more. However, Aeroplane also regularly includes articles on historic civil light aircraft and other types that are scarcely covered elsewhere making it the most balance historic aviation monthly on the market. Inside every issue there's the latest news from all around the world, detailed historical accounts, exclusive archive photography from our massive collection of glass-plate negatives, a look back at how The Aeroplane reported on significant aviation milestones, events coverage, book reviews, Q&As and much more. Aeroplane magazine is the essential read for any aviation enthusiast. Be the first person to tell us what you think about Aeroplane Monthly (UK) and you'll save $5 on your next purchase!